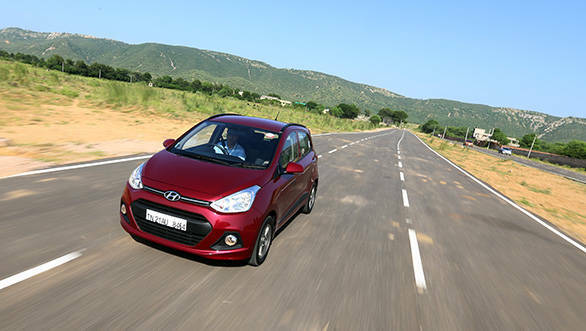 Hyundai Grand i10 has bagged the 2014 JK Indian Car of The Year (ICOTY) award. It pipped the likes of Honda Amaze and Ford Ecosport to win the prestigious award. 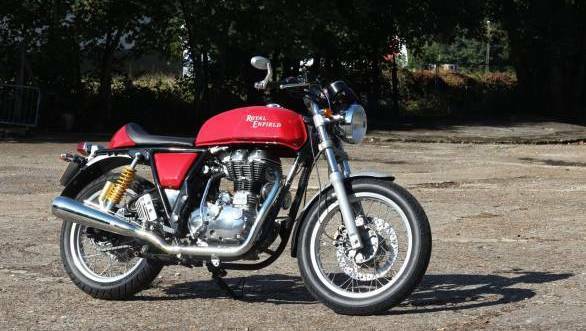 Royal Enfield Continental GT edged past KTM 390 Duke and the Hyosung Aquila Pro to win the Indian Motorcycle of The Year (IMOTY) award. Leading automotive journalists in India consitute the jury of the ICOTY and IMOTY awards, created in the line of American Car of the Year, European Car of the Year and Japanese Car of the Year. OVERDRIVE executive editor and IMOTY chairman Vikrant Singh, BBC TopGear India editor and ICOTY chairman Girish Karkera, and JK Tyre & Industries Limited president and director Arun K Bajoria handed over the Indian Car of the Year trophy to the Hyundai Grand i10 and the Indian Motorcycle of the Year trophy to the Royal Enfield Continental GT on behalf of the esteemed jury of ICOTY & IMOTY 2014. The ICOTY and IMOTY are aimed at recognising focused, consistent and rigorous efforts made by auto manufacturers, with the highest levels of performance in the areas of design excellence, innovation and R&D. Of the several cars and motorcycles launched in 2013, around 17 qualified for the 2014 ICOTY & IMOTY award of which 9 made it to the final shortlist. These were further evaluated during a jury round at Lonavala, near Mumbai on December 9, 2013. Hyundai Grand i10, Honda Amaze and Ford Ecosport eventually finished as the top 3 finalists for ICOTY, while the top three for the IMOTY included the RE Continental GT, KTM Duke 390 and Hyosung Aquila Pro. The nominated cars and motorcycles were judged on various parameters such as price, fuel efficiency, styling, comfort, safety, performance, practicality, and technical innovation, value for money and suitability for Indian driving conditions. This year's jury for ICOTY and IMOTY constituted of Girish Karkera and Sriram Narayanan (BBC TopGear), Vikrant Singh, Bertrand D'Souza and Subhabrata Marmar (OVERDRIVE), Yogendra Pratap and Rahul Ghosh (Auto Bild), Bob Rupani and Gautam Sen (Auto India), Dhruv Behl and Ashish Jha (AutoX), Pablo Chatterji, Rohin Nagrani and Kartik Ware (Motoring), Aspi Bhathena and Sarmad Kadiri (Car India & Bike India), Sirish Chandran (Evo India) and Muralidhar Swaminathan (Hindu Business Line). Apart from the three finalists, the cars to make it to the final shortlist were BMW 1 series, Chevrolet Enjoy, Mahindra Verito Vibe, Mercedes-Benz GL350, Nissan Terrano and Skoda Octavia. OVERDRIVE's Vikrant Singh said, "This year we shortlisted four motorcycles; all at the top of their game. The Aquila Pro is a comfortable and torquey cruiser, the 390 Duke is fast and entertaining; and the Centuro is easily the best equipped entry-level motorcycle in the country. But, our winner, and by a decent margin, the Continental GT brings more to the table. It is good looking, dynamically stable, good to ride and it is well-priced too. No wonder six out of the nine jurors rated it as their top choice." The Grand i10 has ably suceeded Hyundai i10 which won the ICOTY in 2008. Other ICOTY winners are Renault Duster (2013), Maruti Suzuki Swift (2012), Ford Figo (2011), Tata Nano (2010), Honda City (2009), Honda Civic (2007) and Maruti Suzuki Swift (2006). RE Continental GT joins the elite company of KTM Duke 200 (2013), Honda CBR 250R (2012), Honda CB Twister (2011), Kawasaki Ninja 250R (2010), Yamaha R15 (2009) and Bajaj Pulsar 220 DTS-Fi (2008).